We are engaged in manufacturing and supplying a wide range of Water Carbon Filter & Activated Carbon Filter. 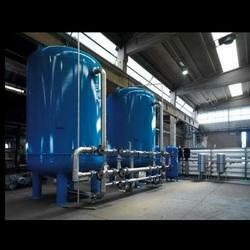 Our product range also comprises of Oxygen Generator, Demineralisation Plant and Reverse Osmosis Plant. Our products have enabled us to cater to the clients spread across Indian Subcontinent. We are well known in the market for our quality products in affordable prices and on time deliveries. Pass all the quality norms set globally. Looking for Activated Carbon Filter ?